Many of us become merely balanced practicing Catholics after a while, making a compromise with the flesh on some issue. Why do we allow this to happen? What happened to make us become less zealous in the spiritual warfare? We are in war. At Confirmation we became soldiers of Christ, so why have we laid down our arms? Why have we relaxed? Why have we become content with a mediocre life, content with sneaking in the back door of Purgatory? Actually there are two questions. The first is why I have allowed this to happen. The second and more important question is this; what do I do to fix this problem? The cause is usually simple. We begin into the spiritual life and realize that we must overcome our vices. And so we begin the battle, usually with some success in some areas. But then we come to that one area, where we have no success. Everything we try is a failure. Usually it is in the area of the senses or in the passions. The senses desire satisfaction in lust and/or gluttony. The passions in covetousness, envy and anger. Whatever remedy we apply comes without victory. And so what is the problem? Why are we failing? The reason is usually quite simple. All of the effort is on our part directly against the Cross of sin to use the term of one priest. And we all have one. We must look at this closely. Rather than surgically remove this infirmity, God told Saint Paul that He would help him with the battle. And this is our first problem. We have been trying to do it alone without God. We need the power of Christ to dwell within us. Basically, of ourselves, we are powerless. We can do nothing. However, when we realize that our sanctification and even our salvation is the work of God, we can begin. If we will look at all of the virtues and talents we possess, we will soon realize they did not really come from us. Does a genius make himself a genius? No, God creates him that way. One person was told that charity came easy to him. And why is this so? It is because God gave him a disposition towards charity. Saint Augustine says: “God who made us without our help, will not save us without our help.” And we have taken this too far. We have been trying to save ourselves without God, doing everything our own self. Our salvation is a joint effort, which begins with Almighty God, with Whom we cooperate. And this is where true prayer comes in. God has given us many blessings to work with, but there remains in us a sting of the flesh, which we must battle WITH GOD'S HELP. And this is the key point. We must ask God for His help, and then work with His grace. Someone prayed to God: “God I need patience. You are giving me the opportunities to practice patience, but I need the patience itself.” God will perfect us sometimes through trials, the opportunities to practice virtue. He sends the trial and then He sends the grace to help us overcome the trial. The problem is we want an instant cure, like we have Minute Rice. Can't we get instant answers on the computer? Why can't we get them in life. Yes, we get instant answers on the computer, but are they the right answers? 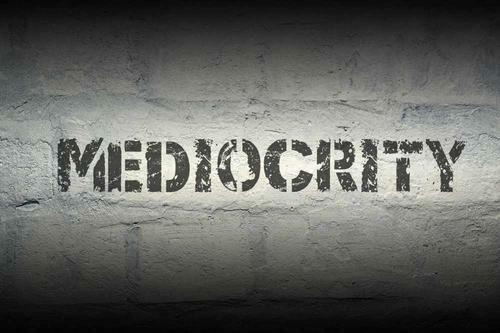 Let us stop being mediocre and become on fire with the love of Almighty God. 1 The Priest, the Man of God page 26.